These kits usually come with a 7.023MHz crystal(s) which are in the EXTRA class bands. Check out our Crystals to move these little rigs to the General Tech/Novice frequencies. Want to change frequencies? Try the Pixie Switch to change up to 4 crystals. Need a Pixie? Get a Pixie, Switch, and Crystals with our CCK-Pixie. Having problems with your Pixie? Download the Pixie-Troubleshooting screen shots and DC voltages of a typical Pixie. 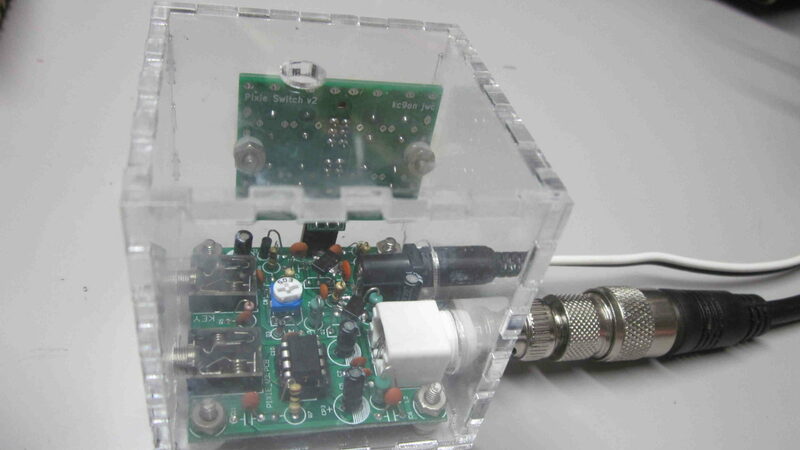 Follow THIS LINK for a neat enclosure you can build by VE3FWF. Read on for more information about the Pixie………….. Bag of Parts, Printed Circuit Board, Schematic Diagram, Parts list and Layout page. Fortunately there are not many parts on this board and no coils to wind. Assembly was pretty easy by matching up the correct part and soldering in. Lay the R/C/Q parts in first, then the 8 pin socket, and connectors the last. Note: These kits may have inventory issues – one kit was missing a 470pF cap. See the Ocotpus below for other part variances. Lead spacing on disc caps should have been either .1″ on the PCB or .2″ parts. Solder pads could have been slightly larger. Ground pins did not have thermals which makes soldering more difficult (bad for VHF RF but were talking 40M here!). Beginners may have problems identifying the inductor values since the color codes are not on the parts list. RIT is a trimmer and should be an outright potentiometer w/ knob. It works but what more do you want for a $7 kit? Output power is about 1/2W and receive sensitivity picks up signals so that makes it good for what it is. The worst part is the wide bandwidth makes tons of high pitches noises which can be annoying after a while. Best to use an outboard audio filter (see CALF). 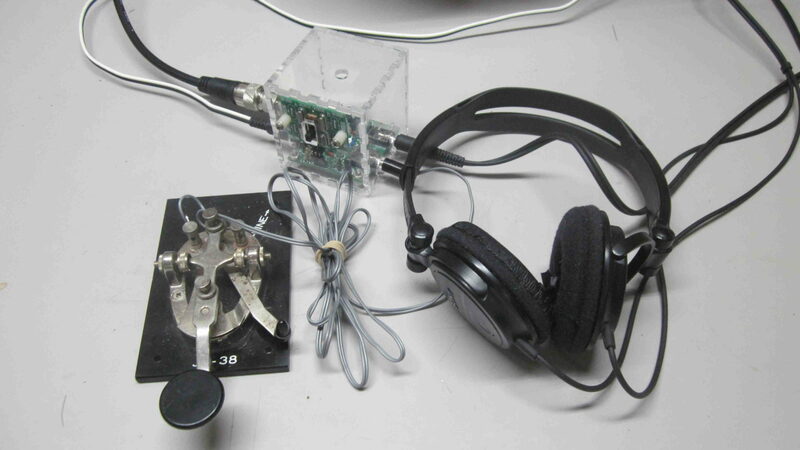 Not sure if I will make a QSO with it but will make a nice board for Tx/Rx testing of other projects. Using FLDigi and HRD software to receive CW works good with this little rig. Seems no attenuator is needed between the Pixie and computer although the drive can be a little much at times. Found HRD to work slightly better. YMMV. 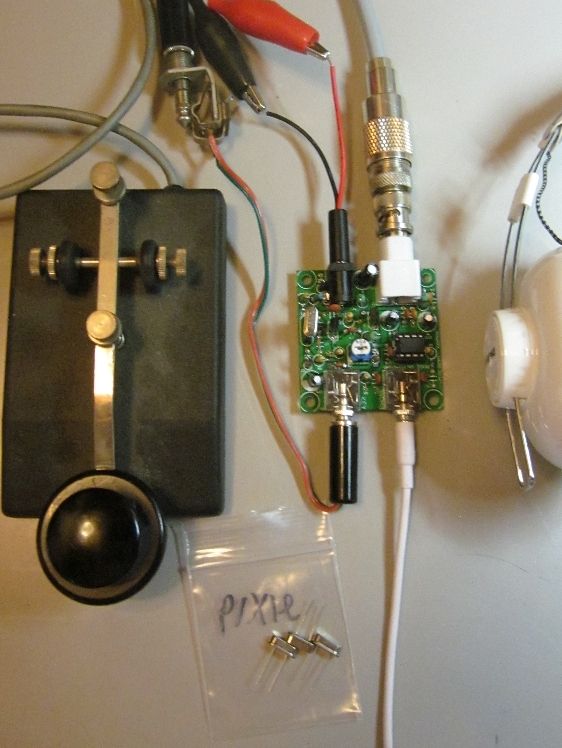 2015-02-24 – Finally made a QSO on the Pixie with the 7122 crystals. Missed Texas the night before with a copy of “SRI NO CPY QRM” returned but managed to work Wisconsin today with a 579. That’s 280 miles away which makes it 560 miles to the watt! 2015-02-28 – The pixie built by N8JTQ is up and running. Was missing a 470pF capacitor but it makes and sends CW now! 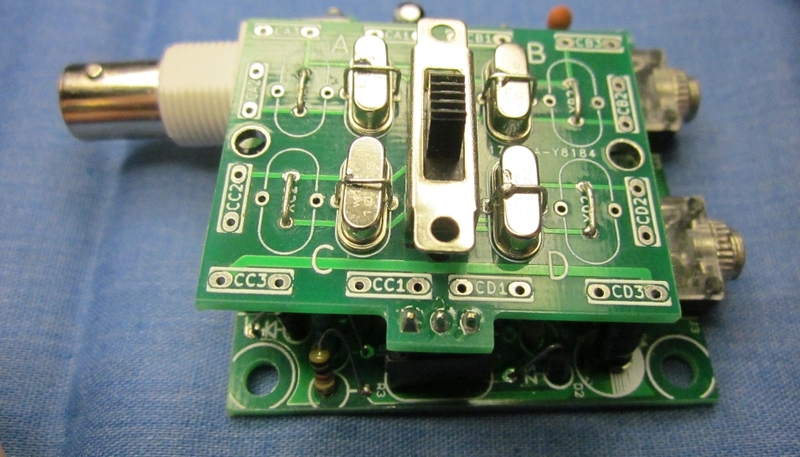 For 10M & 6M replace the capacitors in the oscillator circuit to 47pF. For 80M Add 100pF to C7 to start oscillation. Using 2N2222 or 2N5401 transistors may increase power output. Thanks to Bernie, VE3FWF, I now have this cool LASER cut enclosure to put it in. with PZT2222’s for 1W output!